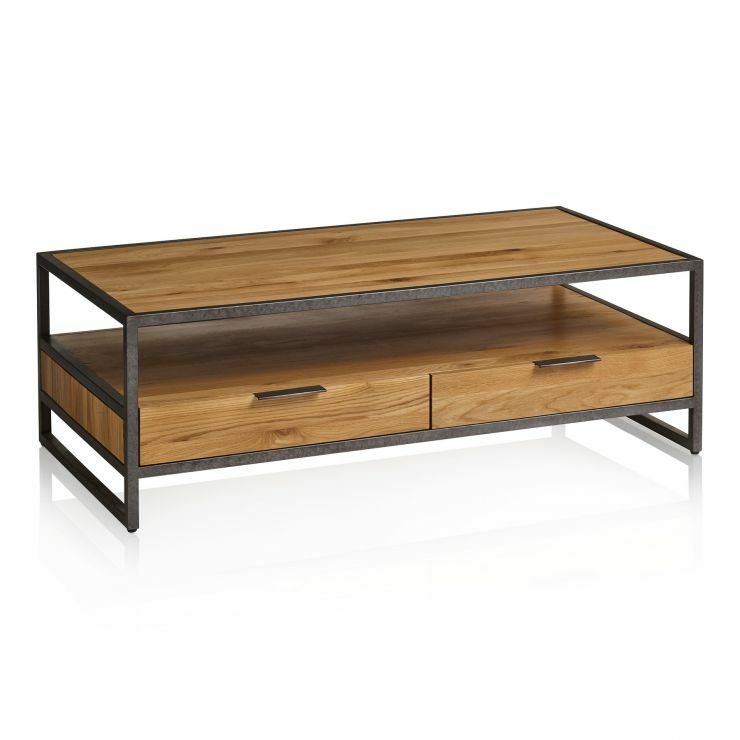 This industrial coffee table adds a touch of industrial chic to modern British homes. 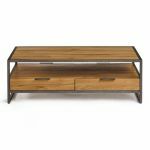 Part of our Brooklyn range, this metal coffee table features a dark aged effect metal frame, and solid natural oak panels that show off the grain patterns of the timbers. 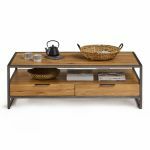 Inspired by loft living, it has an open silhouette, and slim metal tab handles on the drawers complete the look. It has a shelved display section, perfect for keeping throws or remotes, and sturdy drawers below. 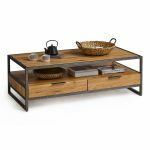 The drawers are finished with solid oak bases, backs, and runners, and feature beautiful dovetail joints which add to the durability of this industrial coffee table. 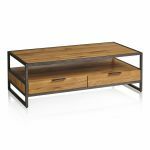 Don't forget to browse the rest of our Brooklyn range today and discover more great modern living room looks.